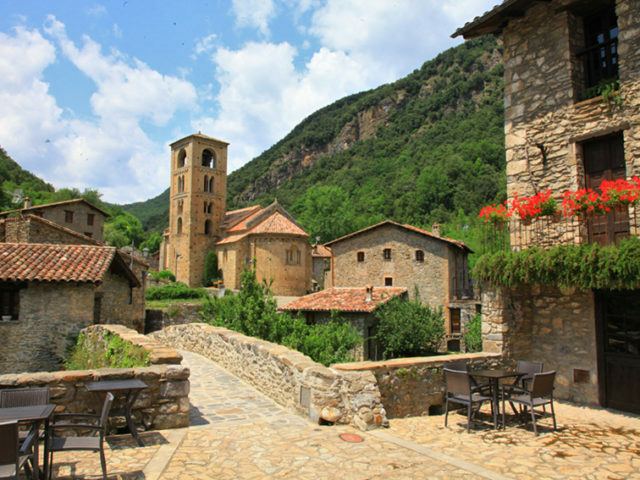 La Garrotxa is a region located in the NE of Catalonia and is the best exponent of the volcanic landscape of the Iberian Peninsula and one of the most interesting in Europe. The Natural Park of the Volcanic Zone and Natural Reserves of La Garrotxa is a beautiful exhibition of some thirty volcanic cones in very good condition. The craters look perfectly. They have ten to one hundred and sixty meters high and three hundred to five hundred meters in diameter at their base. In the most emblematic, the Volcano of Santa Margarida, we will even find a beautiful hermitage built in the 15th century inside the crater. The region is divided into two totally differentiated territories: the Natural Park of the Volcanic Zone of the Garrotxa and the Area of Natural Interest of the Alta Garrotxa. La Garrotxa is a land of nature, the variety of vegetation and fauna is extraordinary. The high rate of rainfall, the variety of substrata, and the differences in altitude and orientation of the mountain ranges are reasons why in such a small space it can be found from the most typical Mediterranean vegetation to Central European vegetation or from Atlantic trend. Orográficamente, it is clearly defined, both in the north and in the south and southwest, as it is divided between the river basins of the Tec and Ter rivers and the high river basin of the Fluvià river. The forest areas occupy more than three quarters of the county surface, with a predominance of the forest of sclerophyllous in the mountainous slopes, and the dry land crops expand by the plains of the valleys. 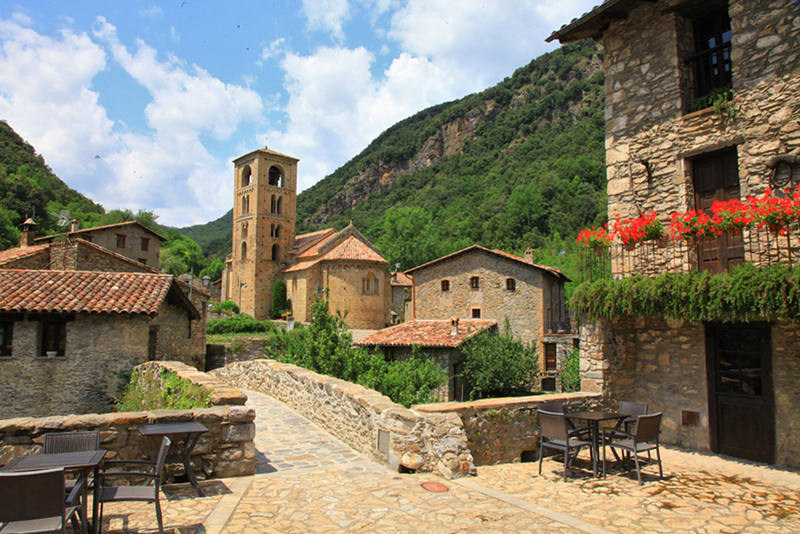 The region presents a cultural heritage of incalculable value: medieval villages, the Roman road of Capsacosta, small churches, sanctuaries, castles, fortresses and hermitages of all kinds are distributed throughout the territory of the Garrotxa. 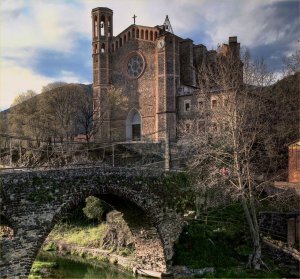 It is only necessary to mention that in the Alta Garrotxa there are already more than 40 churches, most of them Romanesque style. 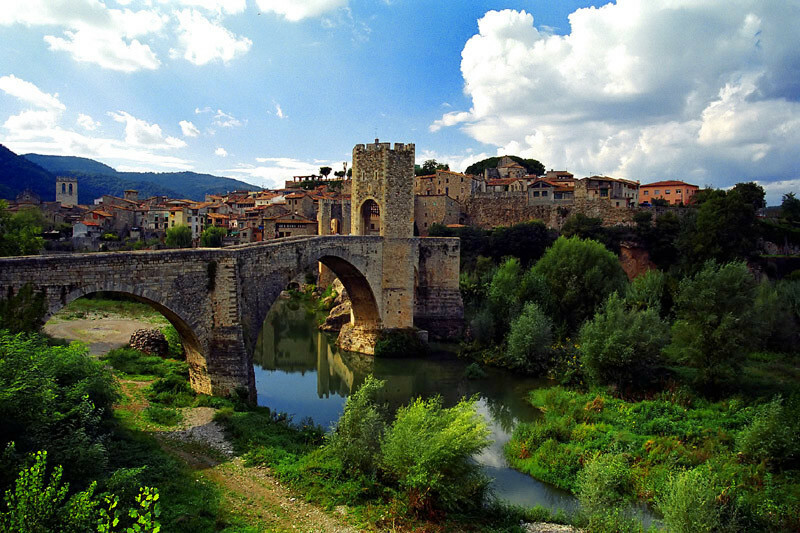 The origin of the town was the castle of Besalú which is already documented in the tenth century, built on a hill where the remains of the canon of Santa Maria in the High Middle Ages. 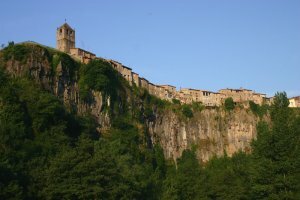 Castellfollit de la Roca, a town bounded by the confluence of the rivers Fluvià and Toronell, amid which stands the spectacular basalt wall on which is the village. 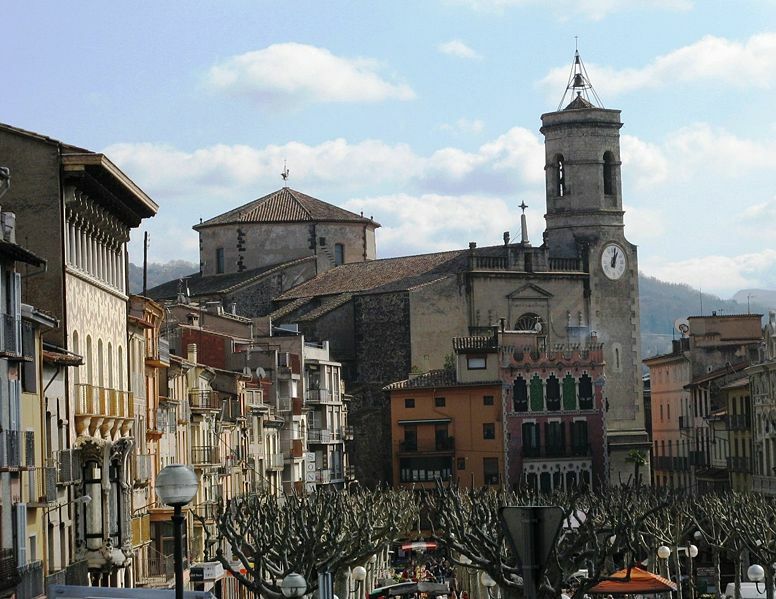 Olot's city is placed in the intersection of small three valleys crossed by the river Fluvià, to 440 meters of height. His capital owes to itself, partly, to his central position inside the region of the Garrotxa, the industrial and commercial activity, the cultural life and the historical circumstances. 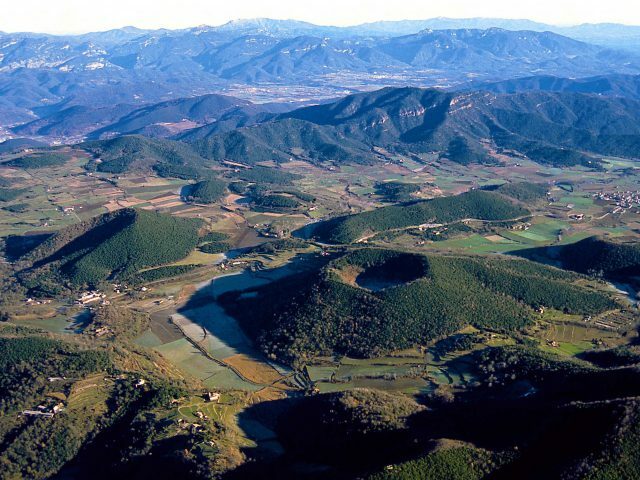 The Garrotxa Volcanic Area is a prime example of volcanic landscape of the Iberian Peninsula and one of the largest in Europe. 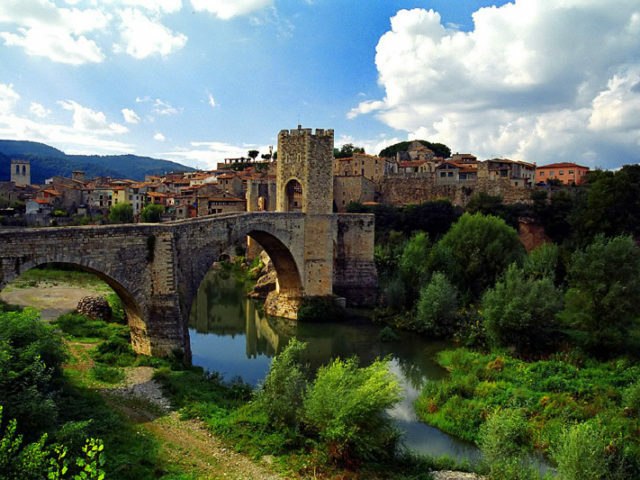 Following the Three Path Route, apart from the spectacular basalt cliffs that follow the Riera de Riudaura, you can also see some of the most interesting places of the town: the medieval bridge and the Molí Fondo. 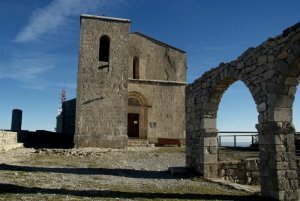 Sanctuary of the Mare de Deu del Mont, Marian shrine of the Bishopric of Girona, located on the highest peak of the Serra (mountain range) del Mont. I accept that Sole de Oix use my data to contact via email with information regarding my request and other promotions.